Janet Scudder, ca. 1920 / unidentified photographer. Macbeth Gallery records, Archives of American Art, Smithsonian Institution. Photo courtesy of The Commons at Flickr.com and Archives of American Art, USA. American artist Janet Scudder (1869? 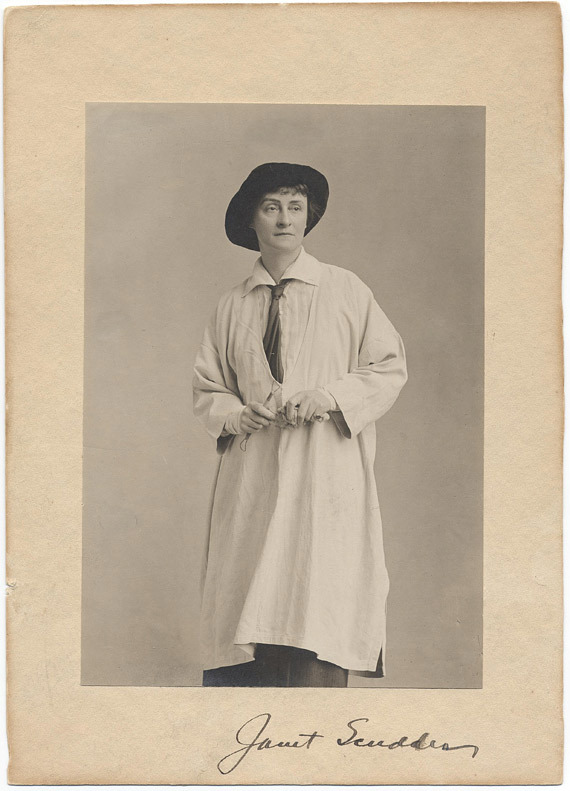 – 1940) was a sculptor, feminist, expatriate suffragette, who “frequently marched in parades and demonstrations involved with women’s issues.” She lived in Paris from 1913 until 1939 with her companion author Marion Benedict Cothren. See Young Girl With Frogs: A Fountain, Tortoise Fountain (?) and Frog Fountain (1901) by Janet Scudder.